Red Dead Redemption 2 is possibly the best video-game ever created. There, I’ve said it. After 5+ years of proclaiming Grand Theft Auto V as being the best video-game ever, it has been over taken by a rootin-tootin ripper of a story, with one of the best storylines ever written and a lead character you really care about. I genuinely never thought I’d say that, but here we are. 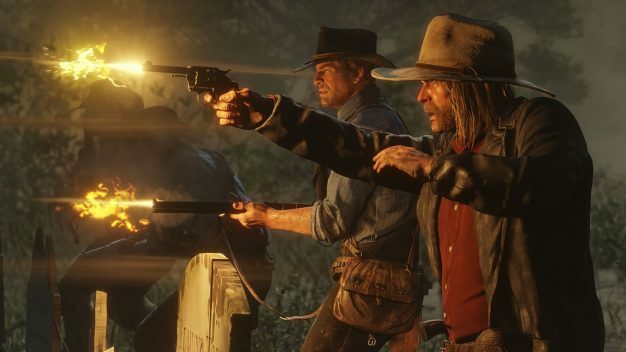 I’ve played Red Dead Redemption 2’s story mode all the way through, and spent about 65-70 hours of doing so. This game is dangerously good. I’ve lost track of time more times than I care to remember. I’ve played in the day and suddenly realized it’s night and the place is dark. I even installed it on my laptop via Sony’s Remote Play so that i could play it in bed at night. I think I have a problem, but I don’t care. Let’s start with how jaw-droppingly beautiful this game is. I have been utterly mesmerized by the backdrops, scenery, and the borderline OCD levels of attention to detail. Rockstar Games, well played guys. 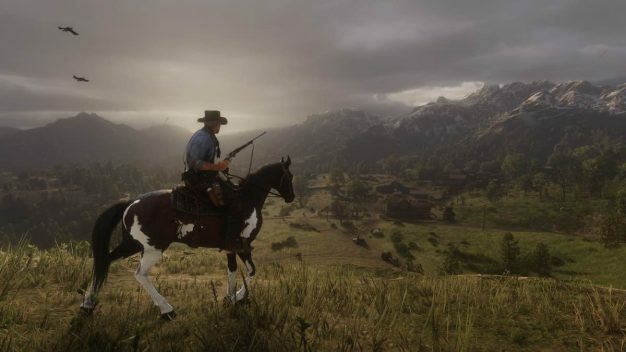 You have delivered the best looking video game ever made, and it’s going to take something phenomenal to top it. Nothing on this gen, certainly and I can’t see how it could be improved on. From stunning vistas, to a Wild West so impressively made that it almost feels real, like you could grab a bottle and touch it. Or jump on a horse and travel around. Graphics alone won’t make a game. 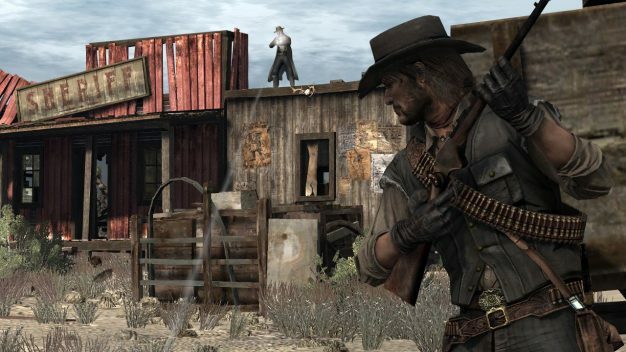 Thankfully, Red Dead Redemption delivers where it counts, storyline and characters. I thought Rockstar did an excellent job with the storyline here. 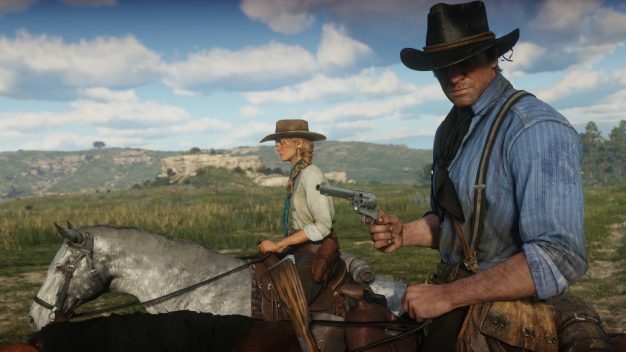 Arthur Morgan is the lead character and the only playable character through the main storyline. He’s part of the Van Der Linde gang, lead by Dutch, and featured throughout the original game. Arthur is a bad guy who exhibits hero-like qualities and has a knack for being able to kill anything that moves. His gang are on the run from the law after a botched heist (which will become a recurring theme…). He tries to help where possible, keep the gang together and after several misadventures which ends in the death of several gang members, he realizes that this life is pretty much over and that he has to save members of the gang, including Dutch, from themselves. This is brought into sharp focus when he is diagnosed with tuberculosis and becomes a dead man walking. He fights the law, other gangs, and even his father figure Dutch. Depending on how good/bad you were in the game, and some of the decisions you made, you had three possible endings. First, you can get John Martson out of the life and to safety but die after a final struggle with Micha Bell and Dutch. Second, you can go back for the loot and face a final shootout with the law and meet your demise. Lastly, you get a third ending that is close to the first, but with a different visual of your spirit animal before you die. All three endings are incredibly sad and I’m not ashamed to say I had a tear in my eye when Arthur bit the dust. He was the kind of character you could really get behind and care about. The pacing of the game makes it so immersive. This is a casual stroll of a game, where it takes time to get from place to place. Where you can lose yourself in a simple task of fishing. Where you can spend time watching the scenery around you. Where you can rest at a camp and watch the world go by. So when you do have a mission, or a shootout it feels frenetic and brutal. Finally, Red Dead Redemption 2 has one more thing that makes it a classic, replay value. There is so much to do in the game that you could almost never get bored, and with Online on the horizon, I’m expecting many more hours of fun playing this game. You can also explore the story from “bad” or “good” perspectives, depending on the choices you make and how violent you are. If there’s one thing I got frustrated about with the game, it was how often I killed my horse by smashing headfirst into a tree while shooting at lawmen. However, it’s a testament to the game that it’s the only gripe I had.